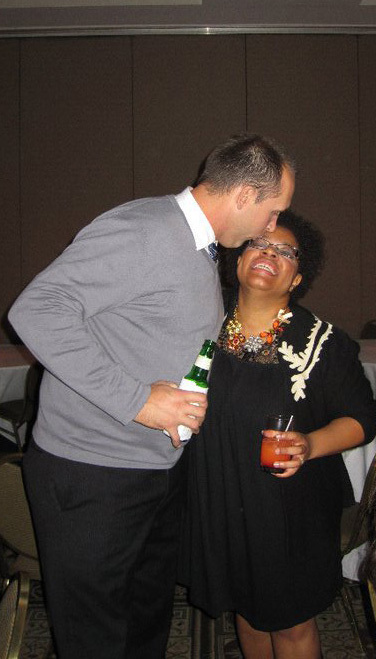 Last weekend, my awesome husband, JT, had a birthday. 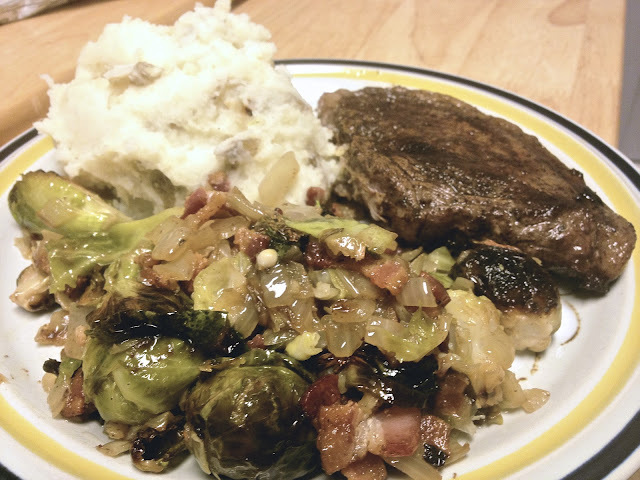 I cooked him dinner Friday and of course it was his favorites, steak, mashed potatoes, and brussels sprouts. I tried an interesting rub on the steak, it consisted of espresso, chili powder, dry mustard, and coriander. It turned out really good. The mashed potatoes were roasted garlic mashed potatoes. I roasted two bulbs of garlic in the oven for an hour and then just squeezed the deliciousness in the mashed potatoes. I love roasted garlic, actually I love roasted everything. For the brussels sprouts I roasted them in the oven for about 20 minutes. While, they were roasting a fried up some bacon and then caramelized an onion and the bacon fat. When the brussels sprouts were done, I just mixed everything together, caramelized onions, bacon, and roasted brussels sprouts. JT really enjoyed his birthday dinner and I was happy to cook it for him. JT's birthday is how the two weeks of crafting got started. I wanted to make him something for his birthday but I didn't know what. 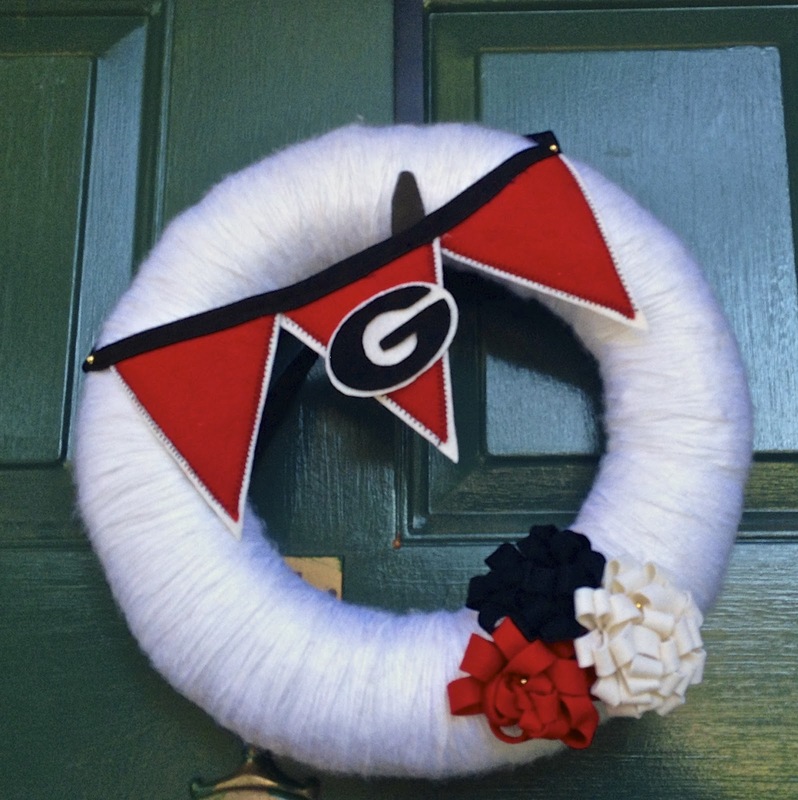 I was thinking of making him something that had to do with the University of Georgia since that's where he went to college and his favorite college football team (of course). 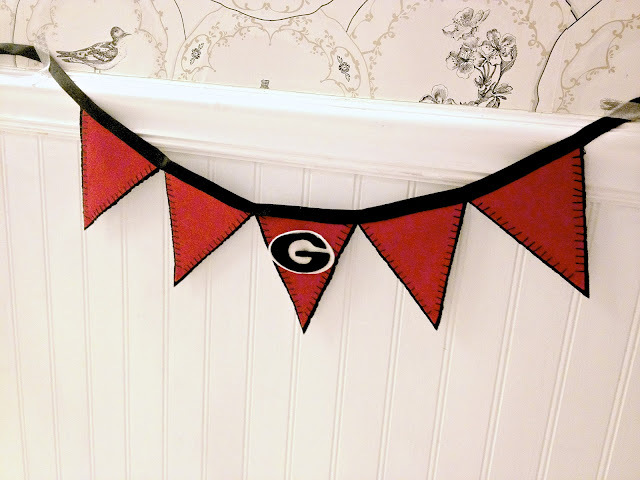 I am having a thing for banners right now so I thought it would be nice to make him a handmade UGA banner for his new office. So I got some beautiful felt (I also have a thing for felt right now) and hand stitched him a Georgia banner. I am happy how it turned out. JT has asked for more Gs so I am going to put two more on each end. I enjoyed making the banner so much I am thinking of making more for other people. I think they would make a great baby shower gift or birthday gift. And I didn't just stop at the banner, I decided to make him a Georgia wreath. I try to make yarn wreaths for presents during the fall and winter so now JT has a special one just for him. Cute? He likes it is cute but he said the wreath his for our home and he will take the banner to the office. I think the wreath might be a little too girly for him. Well, I didn't stop there. 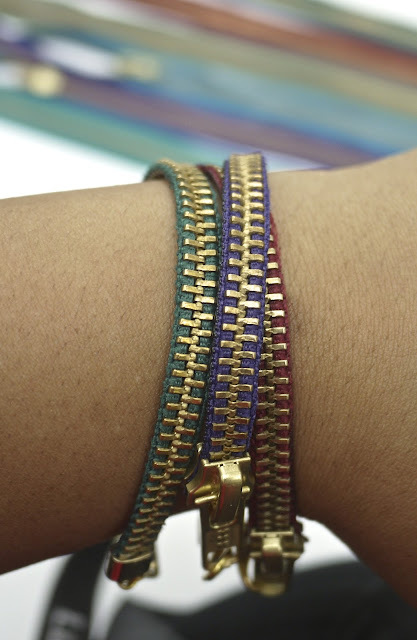 I saw theses zipper bracelets on Bauble Bar and thought they were cute. They were for $26 and I thought I could make those. You can find them here. So I bought some supplies and made them. Well, it's is time for my Mommy taxi duties. I hope to be blogging more, feeling better, cooking, baking, and creating all this week. Sorry I have been busy crafting. I am creating some banners and wreaths. I am excited about how they are turning out. I am not done yet but when I am I promise I will share. I am also making zipper bracelets and everything I need to create them has finally arrived. So I promise to share pictures of them soon too. I have still been cooking and I thought I would share how to cook corn in the microwave since The Chosen One asked. I cooked corn in the microwave last night and Addison was raving about the corn. He asked what I put on the corn and he was surpirsed when I told him nothing. So cooking corn in the microwave isn't just simple, it makes the corn very tasty (it does help the corn is in season). Place a damp paper towel on the bottom of your microwave. Place the corn, husk and all, in the microwave. Do not shuck the corn. Cook the corn according to the cooking table. Halfway through cooking time, turn ears over. Take the corn out of the microwave and wrap it in a kitchen towel. Let it sit for 5 minutes. Then unwrap the corn, shuck it, and eat it. The Chosen One mentioned corn will not be in season soon. So hurry, go and get get some corn.